I feel like Avon is one of those companies that I remember hearing about when I was a kid in the way that you would hear about Tupperwear - things that moms would buy and sell to each other and that came in fun little magazines that you could look through to do 'imaginary shopping'. Or was I the only one who did that? Haha. 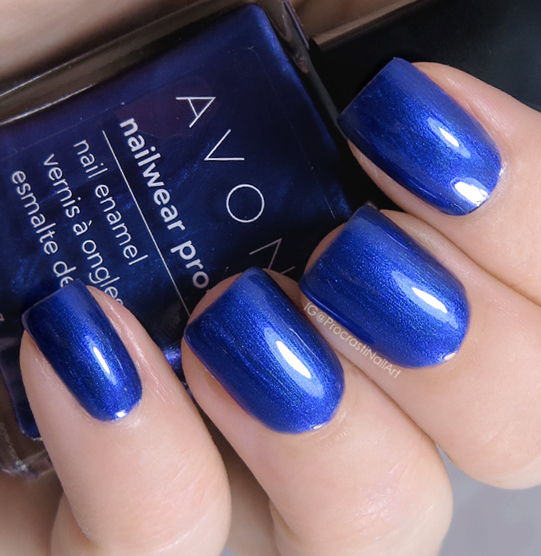 Anyway, picture my surprise when I started seeing other bloggers sharing beauty products from Avon over the past year or so! 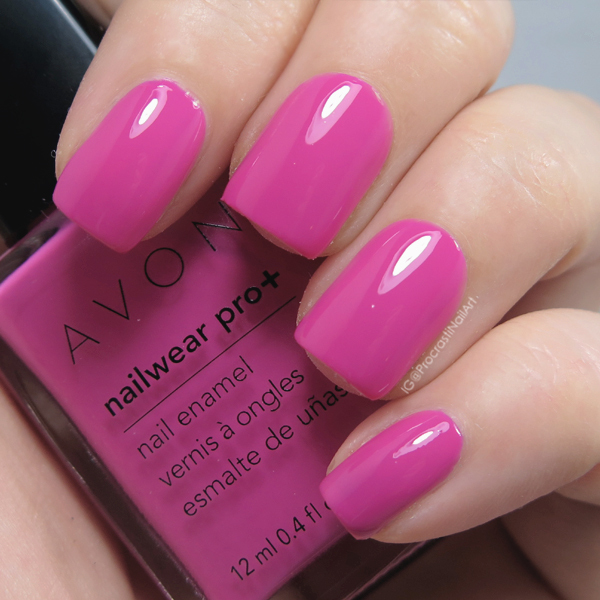 I didn't even know Avon was still a thing! 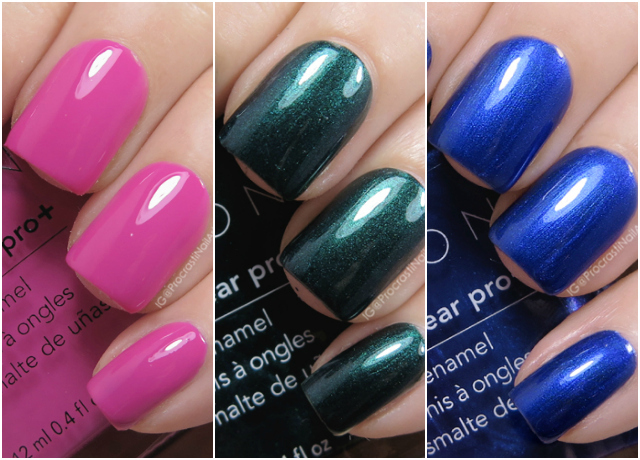 So when my mom got me three of their polish shades at Christmas I was like "Hells yes, I'm excited to give these a try!" And what do you know - I was SUPER impressed with them! So of the three shades my mom got me, this bright blue shimmer was the one that grabbed my attention right from the start. 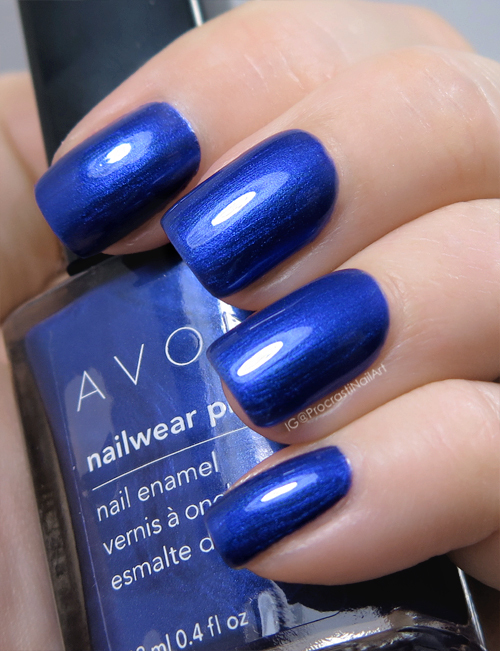 Cosmic Blue is such a bright and bold shade but that hint of shimmer makes it a bit more unique. Application was really good too with full opacity being reached in three coats. I've already used this polish one for this wintery snowflake mani! 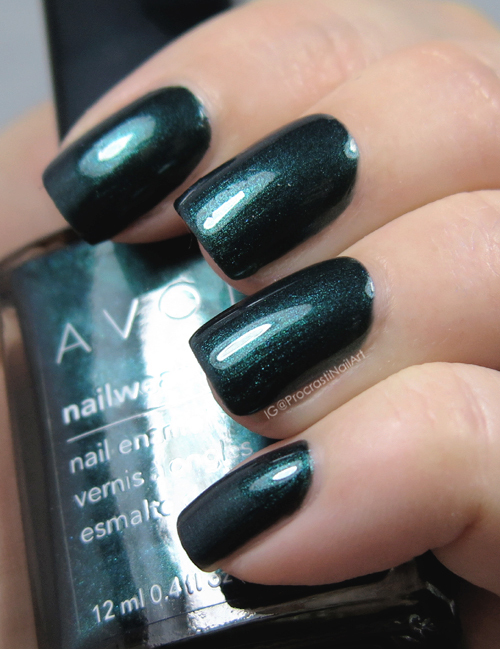 Last up is another gorgeous shimmer polish - this is Noir Emerald and that is the perfect name for this blackened green. Like the others I had zero issues with application, and this one was opaque in three coats. 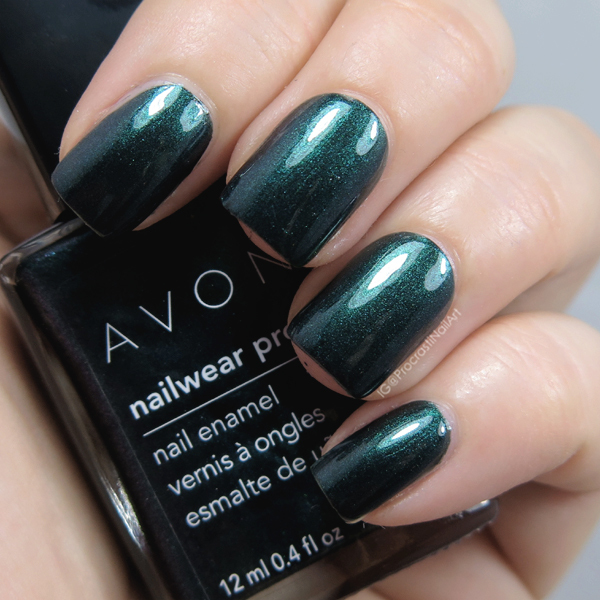 I also used this as a base for one of my favourite manis this year: this calm leafy green stamping look. 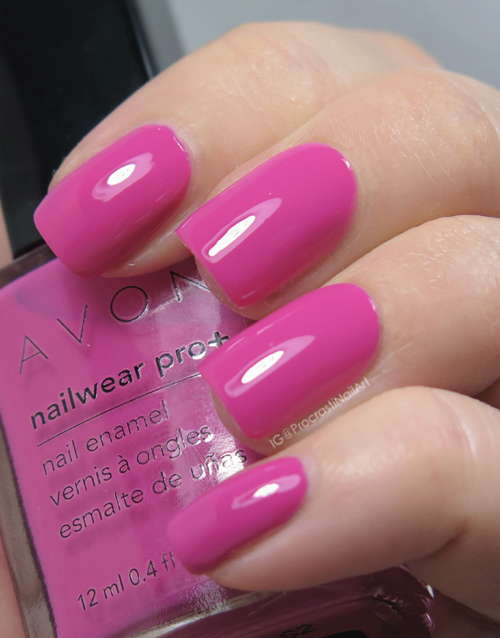 This was my first try with Avon polishes and I gotta say I was impressed! They all applied really well and the shades were really pretty. They definitely do a good shimmer! I don't know anyone who sells Avon so it's unlikely that I'll pick up more on my own, but I told my mom if she ever wants to order more I'll take them off her hands haha. So let me know what you think! 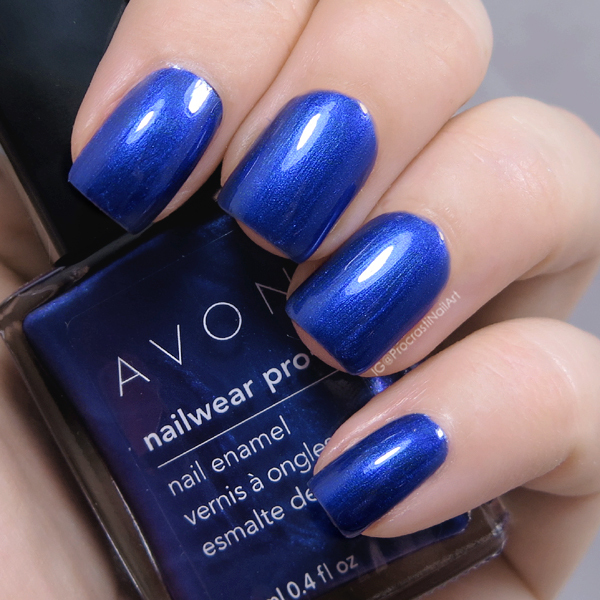 Have you ever tried polishes from Avon before? 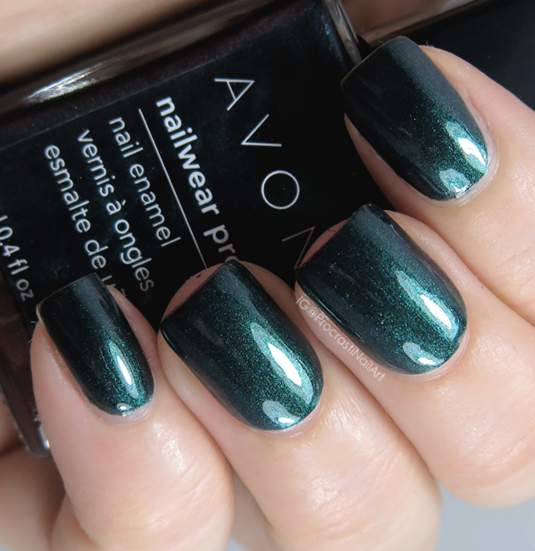 What do you think of these three shades? Those are all beautiful on you. I used to do that as a child as well! Lol. 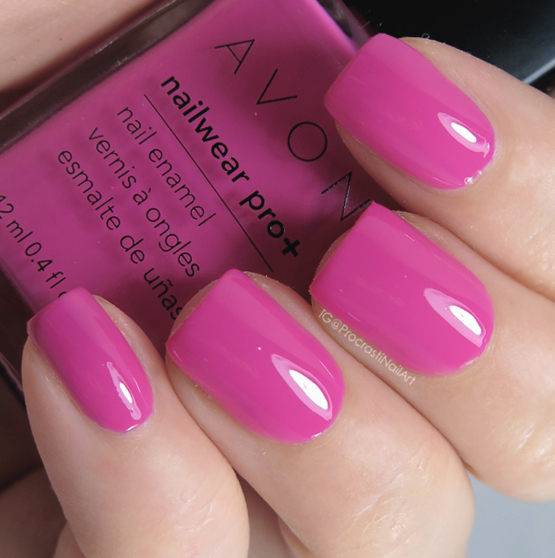 These are gorgeous polishes!